Direct Sportslink secured Chris Duhon for his appearance at the annual Cross Training boys and girls basketball camp. Duhon, a nine year NBA veteran at the time of his appearance, shared inspirational messages for the christian basketball camp guests. His appearance included a basketball clinic, media interviews, pictures with campers and a Q and A session. In addition to Chris, Direct Sportslink has secured the appearances of NBA players Ty Lawson, Dahntay Jones, Shannon Brown, and NBA Champion James Jones for Cross Training's basketball camp. To inquire about any NBA player appearance fee or a motivational speaking engagement by an NBA player please contact a Direct Sportslink booking agent for more information on NBA players available for your next event. A Chris Duhon personal appearance, Chris Duhon speaking engagement, or Chris Duhon endorsement will reflect well on your company. To hire Chris Duhon now for any corporate appearance, fundraiser, motivational speaker event, personal appearance, autograph signing, or website endorsement please contact our celebrity agents at 1-877-6-SPORTS. We will contact Chris Duhon or contact Chris Duhon's agent and provide you with the booking fees and availability immediately upon your request. Direct Sportslink is the only sports speakers bureau and talent booking agency based in the United States securing only sports talent for corporations, associations, and organizations for motivational speaking engagements, personal appearances, and endorsements. We are the premier sports celebrity booking agency and a sports celebrity procurement expert. Accordingly, we will provide you with any relevant Chris Duhon website information and booking agent details so that you can hire Chris Duhon for your next event. In his senior year at Salmen High School in Slidell, Louisiana, Duhon was voted Mr. Basketball for the state of Louisiana. Duhon arrived at Duke University in 2000, where he was an important role player, playing backup to point guard Jay Williams. Following the injury of teammate Carlos Boozer, Duhon was placed into the starting lineup as point guard, with Williams moving to shooting guard, a combination in which Duhon played well. The Duke Blue Devils went on to win the 2001 national championship, defeating Arizona in the finals. Duhon finished his career as Duke's all-time leader in steals (300) and minutes played (4,813), and second in assists (819). In Duhon's four years, Duke compiled a 123–21 record, making Duhon the second winningest player in Duke and Atlantic Coast Conference history at the time, behind Duke's Shane Battier (131 wins). 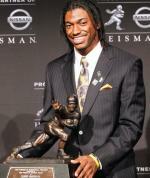 He helped the Blue Devils win three ACC Championships. Duhon was a finalist for the 2004 Wooden Award, the Naismith Award, and Rupp Trophy awards. He left as the only Atlantic Coast Conference player to record 1,200 points, 800 assists, 475 rebounds, 300 steals, and 125 three-point shots. 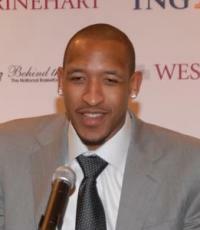 In June 2004, Duhon was selected as the 38th pick in the 2004 NBA Draft by the Chicago Bulls. He has since played for several NBA teams including the New York Knicks, Orlando Magic and Los Angeles Lakers. 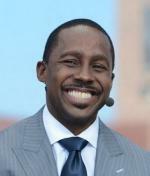 Based on your interest in Chris Duhon as a speaker or for a personal appearance, Direct Sportslink has provided you additional links below for other sports talent with similar appearance fees, speaker topics, and categories that match Chris Duhon.